Home > Custom Boxes > Are you looking for a flat shipped & freight/room saving rigid gift box? 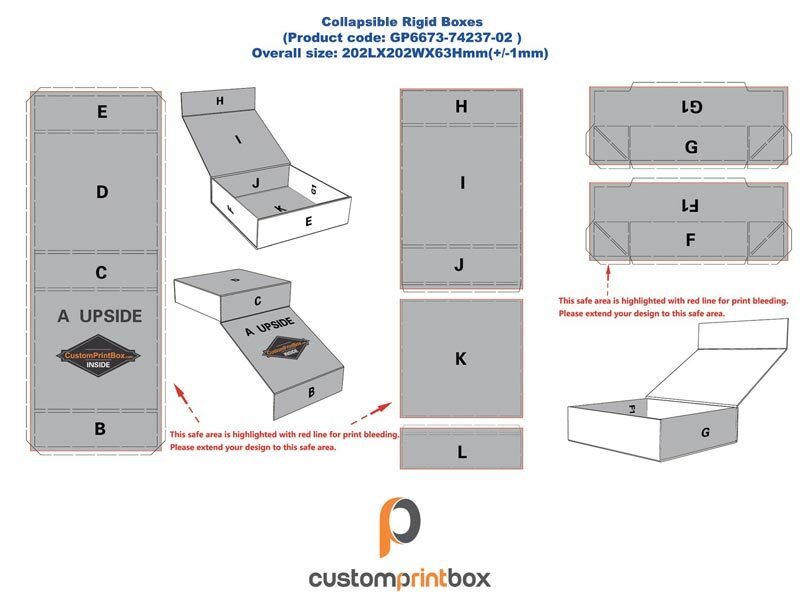 Are you looking for a flat shipped & freight/room saving rigid gift box? 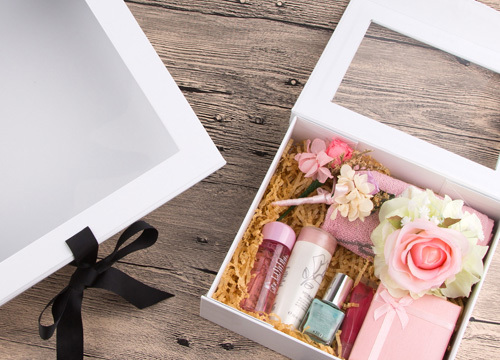 The collapsible gift box is one of rigid cardboard gift boxes, different from others, this kind of gift boxes is foldable when shipping, means flat shipping. 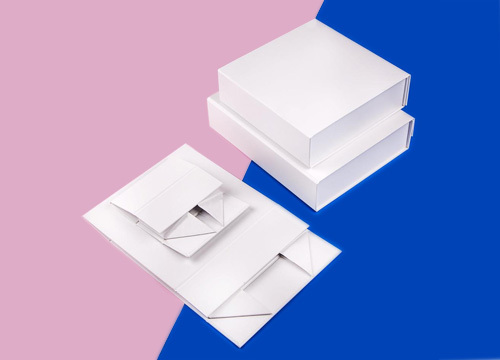 When your order is big, it is a problem to store the boxes, then we suggest you use collapsible rigid boxes. 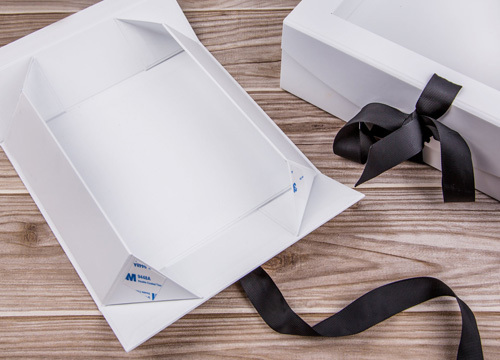 Simple collapsible gift boxes with magnetic closure. 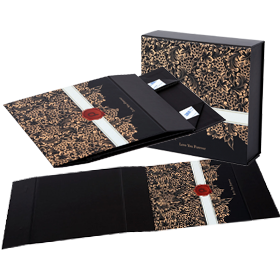 Custom printed rigid product packaging box with ribbon closure for a luxury product range. The see-through window box is showing really legendary for enhancing the customer’s understanding of the products. 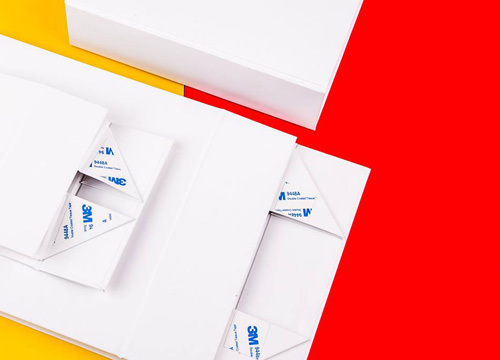 CustomPrintBox offers free dieline template for all customers to download. If you need the help of lay up your artwork please email us, our professional designer will lay out the design for you very soon. Before doing the design, it is important to let us know the height of the box, then we can determine where to glue the boxes and where to hit the hole for magnet or handles. Browse to the files you want to upload from your computer and use Ctrl/Cmd+click to select multiple files. Files must be less than 32mb. If your art file size is over 32mb, please send via www.wetransfer.com or contact us directly.